Squamous Blepharitis is one type of Blepharitis, and there are several which we will describe in more detail below. But first, what is blepharitis? 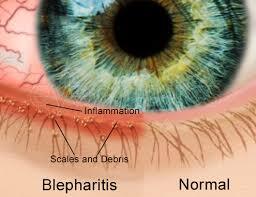 Blepharitis is an inflammatory process (dermatitis or eczema) that affects the lid margins, the lash follicles, or the openings of the Meibomian glands. It can affect vision by disrupting the surface of the cornea and the bulbar conjunctiva and may cause tear film disregulation. This inflammation of the oil glands in your eyelids is the most common cause of dry eyes. Blepharitis can result from many things. Some of the possible causes are an excess growth of bacteria that’s normally found on your skin, a blocked oil gland on your eyelid, a hormone imbalance, or even allergies. There are different types of blepharitis. Symptoms, causes, and treatment options can vary. Staphylococcal Blepharitis is usually caused by staphylococcus aureus or staphylococcus epidermidis organisms. It produces an abstemiously acute inflammation of relatively short duration. This type of blepharitis is more common in warm climates and is more commonly found in middle aged women. Seborrheic Blepharitis affects part of a dermatologic condition that includes the scalp, face, and eyebrows. This type of blepharitis is also called squamous blepharitis. Symptoms and signs include greasy, scaly lashes. Inflammation is usually minimal. Seborrheic blepharitis is also referred to as ulcerative or mixed blepharitis. As the least common form of blepharitis, it is characterized by secondary keratoconjunctivitis, papillary and follicular hypertrophy, conjunctival injection, and mixed crusting. Meibomian Seborrheic Blepharitis can be recognized by the occurrence of enlarged meibomian and seborrheic secretions without severe inflammation. Seborrheic Blepharitis with Secondary Meibomianitis is similar to seborrheic blepharitis, it has irregular incidents of inflammation and meibomianitis that result in blocked meibomian glands and anterior seborrhea, creating an unstable periocular tear film (POTF). Meibomian Keratoconjunctivitis is the most severe lid margin swelling, which typically occurs in an adult over 50. 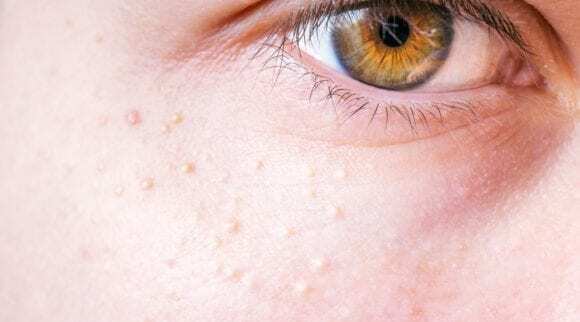 It tends to be more common in colder climates, is regularly found to coexist with acne rosacea, and is part of a generalized sebaceous gland dysfunction which clogs the meibomian gland openings. This form can easily affect the cornea, or front of the eye, as well. Squamous Blepharitis is a condition of the eye that affects the eyelid. 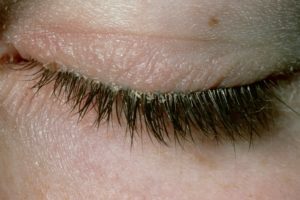 This condition is caused by inflammation around the base of the eyelashes and can produce clumping and a stickiness. It is an eye condition that affects the eyelids. There are many treatment options that can reduce the symptoms of Squamous Blepharitis. There are prescription treatment options as well as home remedies. Blepharitis can affect a person at any age and can be classified as either acute or chronic. Chronic adult blepharitis has been found to be the most common form. In simple terms, blepharitis is a chronic form of inflammation of the eyelid. Blepharitis is an inflammatory condition affecting the area around the base of the eyelashes. The underlying causes of chronic blepharitis are not well understood or known. Research does say that blepharitis is not caused by poor hygiene, although this can play a role. 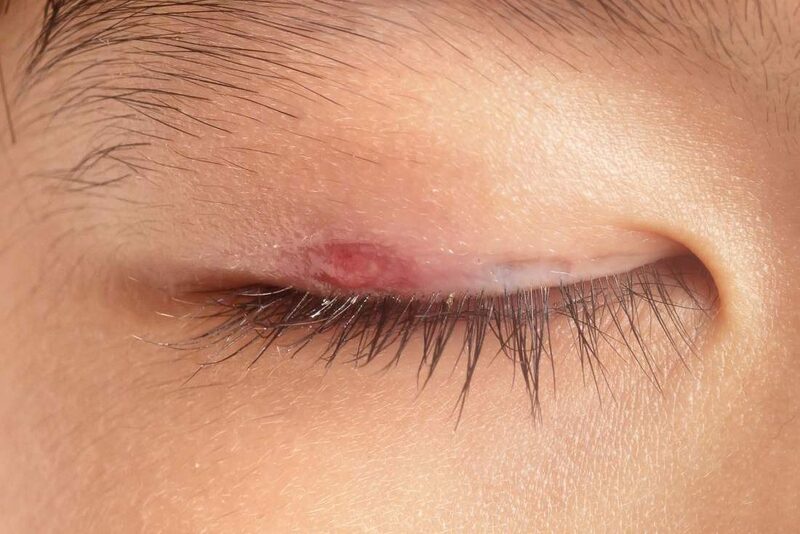 The most obvious signs of any form of blepharitis are redness and stickiness of the eyelid, with clumping of scaly skin and flakes around the base of the eyelashes. Although the association between mite infestation and squamous blepharitis has been reported since at least the early 1960s, it is sometimes overlooked by clinicians. 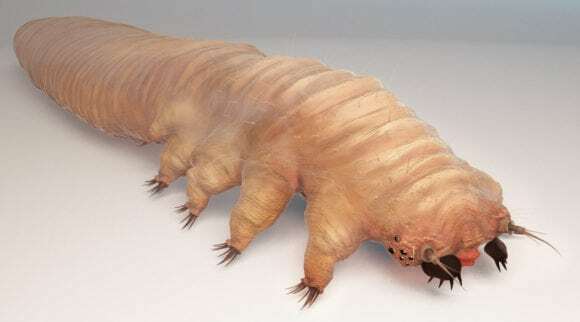 Recent research points to a strong correlation between levels of demodex mites and the severity of blepharitis. Cutting down the mite infestation has been documented to show improvement in blepharitis cases. Blepharitis can be anterior or posterior. Anterior Blepharitis affects the front edge of the eyelid, where the eyelashes join it. Posterior Blepharitis affects the inner edge of the eyelid, where it meets the eyeball. The main symptoms of squamous blepharitis are as follows: itchy eyelids, red eyes, watery eyes, irritated eyes, flaking on the eyelashes, crusting that can be found at the base of the eyelashes, burning eyes, photophobia (sensitivity to light), a grit feeling in your eyes, the sensation of having something in your eye, and stinging eyes. The flaking found in blepharitis almost looks like dandruff. That is one way to tell the difference between this flaking and the common gunk that is typically found in eye infections like conjunctivitis. The symptoms of blepharitis are always more pronounced and noticeable upon waking first thing in the morning. This is common with eye issues because the eyes, having been closed all night, have collected oils and residue while you sleep. Thankfully, squamous blepharitis is not a problem that usually puts your eyesight at risk. Your vision will not be damaged permanently because of the condition. However, with that said, it can result in decreased vision during a flare up or episode. It has also been noted that blurred vision can result during the flare up as well. This decrease in vision is known to come and go, so try not to panic. Chronic blepharitis symptoms are also sporadic, even featuring periods of remission with no symptoms. These periods are followed by exacerbated flare ups. These flare ups usually affect both eyes. Other conditions have been noticed to occur in conjunction with blepharitis, such as ocular rosacea, psoriasis, and seborrheic dermatitis. It has also been noted that people who have dandruff are more likely to develop squamous blepharitis. Keeping the dandruff under control and taking preventative measures, like using dandruff shampoos and treatments, can help reduce the symptoms. Another possible cause is dysfunction of the meibomian glands on the rim of the eyelids. These glands produce an oily substance that prevents the eye’s film of tears from evaporating. The meibomian glands are a holocrine type of exocrine gland at the rim of the eyelids inside the tarsal plate. These glands are responsible for the supply of meibum, an oily substance that prevents evaporation of the eye’s tear film. Meibum prevents tear spillage onto the cheeks, trapping tears between the oiled edge and the eyeball, and seals closed lids in a way that could be considered airtight. This is a good thing! There are approximately 30-50 glands on the upper eyelids and 25-30 glands on the lower eyelids, depending on the person. Dysfunctional meibomian glands often cause dry eyes, one of the more common eye conditions. To diagnose squamous blepharitis a doctor will ask about symptoms, take a medical history, and examine the patient’s eyelids and eyes. The decision for medical treatments and home remedies to utilize will be made after the examination. There are a number of possible causes of blepharitis. Some of the possible causes are: an inflammatory reaction to bacteria that normally live on eyelids, seborrheic dermatitis or rosacea, and demodex. Doctors suspect that squamous blepharitis is a predecessor of Meibomian gland dysfunction, rather than the gland dysfunction causing blepharitis. 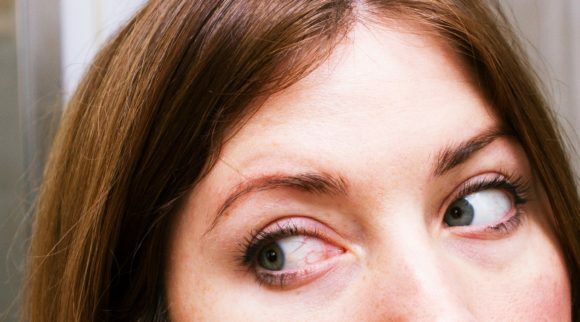 Eyelid hygiene is important for treating both types of blepharitis. It should be continued even when symptoms have improved. RELATED ARTICLE AND VIDEO: What is Meibomian Gland Dysfunction? 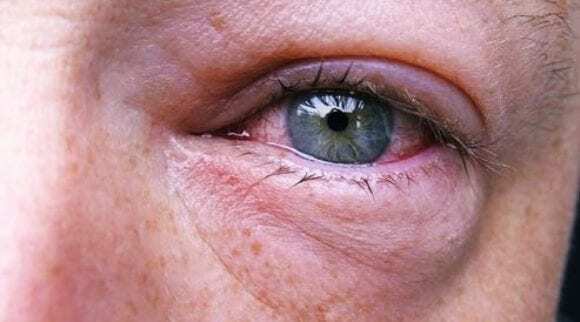 Can I Prevent Squamous Blepharitis? As of now, there is no cure for blepharitis. Steps can be taken to prevent flare ups of the condition. These preventative measures will assist a person suffering from the condition as long as they are done regularly, even when there isn’t a flare up or the beginning of one. This can be hard because, with many things, a person often forgets to treat what they can’t feel. If a person has a blepharitis flare-up there are also things that can be done to prevent the flare up from getting worse. If it is the early stages of treatment for the flare up do not use face or eye makeup during the flare. These can irritate your skin and make the condition dramatically worse. Once the flare up has cleared and a person is ready to start using makeup again there are important things that can be done. One thing to do is to replace any makeup that was used during the flare-up, because it could be full of bacteria. Especially any makeup that was used on or around the eyes or eyelids. Makeup may be contaminated and cause a reoccurrence. Once this is done remember to continue eyelid cleansing with something like the Heyedrate Lid and Lash Cleanser. It’s so easy! A person suffering from a flare up of squamous blepharitis should also avoid wearing contact lenses during this period. The use of contacts should be discontinued until the flare up is gone and the eye area has returned to normal for a period of at least 3-5 days. Treatment aims to relieve symptoms caused by squamous blepharitis. You can only treat the symptoms of the condition because there is no current cure for it. Although, it can be treated and controlled with proper care. Remember to take care of your eyelids. If blepharitis goes untreated, it can scar or injure your eyelids or eyes. Treatment for blepharitis normally includes both medical interventions and home treatments. After viewing symptoms and then diagnosing the condition, a doctor may recommend home management, as described in this article. They may also carry out medical treatment in-office. There are several prescription options available to someone suffering from blepharitis. This electrochemical lid margin debridement removes mites, bacteria, and the biofilm that they create from the eyelids. It also opens any clogged meibomian glands. BlephEx is the brand name of the electrochemical lid margin debridement. This device is handheld and allows a doctor to deliver a “deep cleaning” of the lid margins. BlephEx is designed for elimination of lid debris and microbial biofilm, which is believed to be one of the most common sources of ocular surface inflammation. The device incorporates a throwaway, high-speed, revolving micro sponge intended to clean both the anterior and posterior lid margins, making it suitable for all forms of blepharitis. It should be noted that there is no ICD-9 code related with BlephEx. This means that it is not covered through insurance. In the future insurance companies may begin to cover this treatment option, but not yet. Out-of-pocket costs for this in-office procedure normally range from $150 to $200, or more in some cases. As when you have your teeth cleaned at the dentist, this technique, electrochemical lid margin debridement, is recommended semi-annually at least. In severe cases, it may be recommended more frequently. There is also a new at home device that exfoliates very similar to BlephEx called NuLids. Click here to learn more about the NuLids device. Avenova is a stabilized solution that is made up of 0.01% hypochlorous acid (HOCl), this is a microbicide component of the human immune system. HOCl is produced naturally by neutrophils in response to pathogenic organisms and can kill bacteria. Also, it can block bacterial-derived toxins and blunt the effects of human cell-derived pro-inflammatory mediators. Avenova is packaged in a glass bottle with a pump sprayer. It can be applied to the eyelids using a cotton ball, cosmetic pad, or some type of gauze. When using cotton or other fibrous materials please take heed to ensure that the fibers do not come off while using. 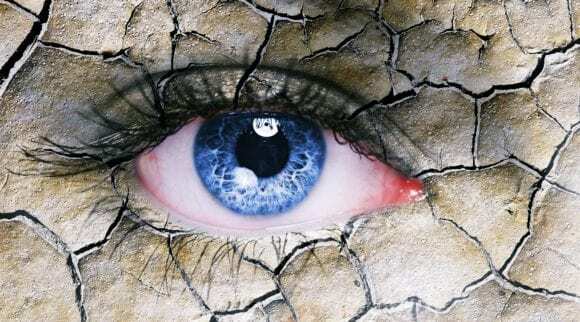 Although there aren’t yet any specific clinical studies demonstrating the efficacy of the product some consumers have noted improvements in symptoms of squamous blepharitis with consistent use over a 10-day period. Avenova is sold exclusively as a prescription, often running up to $300/month, as well as through doctors’ offices. The product retails in offices for approximately $60 for a 40mL bottle. You’re in luck! If you’ve found Avenova and other eyelid procedures to be too expensive, Heyedrate Lid and Lash Cleanser is your perfect at-home solution. Unlike baby shampoo and some of the other commercially available eyelid scrubs, there are no surfactants or detergents that can further irritate your delicate lids and lashes. This is a hypochlorous acid solution similar to Avenova, but without the high price tag. To use, simply spray the solution onto your closed eyelids, gently rub it into the eyelashes, and let it dry. You can also apply with a cotton ball or round, if desired. This lid hygiene needs to be maintained as a self-care regime twice a day, every day, and should be as much a part of your routine as brushing your teeth. This is a considerable lifelong commitment, but the symptoms will come back without it. Do this one lid at a time. Please make sure the eye is closed when doing this to prevent the solution from going into your eye, although it is safe and will not irritate if you do get it into your eyes. If you suffer from meibomian gland dysfunction, you should use a warm compress eye mask, such as that from Heyedrate, before the use of the cleanser. Simply place the mask in the microwave for 15-20 seconds before placing over your closed eyes for 10-20 minutes. This will help to heal the MGD and squamous blepharitis that is occurring and possibly prevent recurrences. The doctor may also suggest the prescription LipiFlow, this is a 12-minute procedure that gently heats clogged glands and applies mild pressure to “milk out” the oils. Another useful tool in treating the issue of squamous blepharitis is the use of tea tree oil. This should only be done at the advisement of a physician. Tea tree oil has many benefits including both antimicrobial and anti-inflammatory effects. Tea tree oil has been effective at eradicating mites, in either 50 percent lid scrubs or 5 percent lid massages. Because higher concentrations can be irritating, however, it is important to only use a drop on a cotton ball with warm water. Alternatively, to make it easier you can try the Heyedrate Tea Tre Oil Soap, which can even be used all over while you’re in the shower. Self-care is the greatest significant element of treatment. Symptoms of blepharitis can return quickly if self-care is not continued. Blepharitis cannot be cured, but treatment, both home and medical, can successfully manage symptoms. 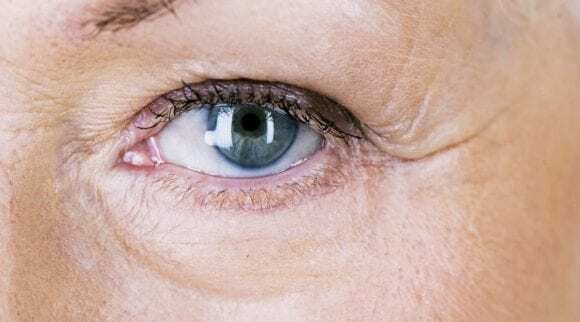 In addition to home treatment, people with eyelid inflammation should avoid using cosmetics such as eyeliner, mascara, and other makeup around the eyes. These types of products can cause irritation and exacerbate symptoms. Utilize fatty acids. Omega-3 fatty acids are known to be anti-inflammatory. 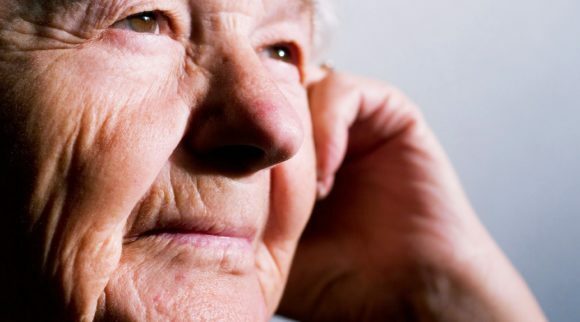 Patients taking a supplement of 1 to 3 g, up to three times a day have shown improvement in symptoms. However, it should be noted, that this treatment can take up to twelve months for a patient to start seeing signs of improvement. 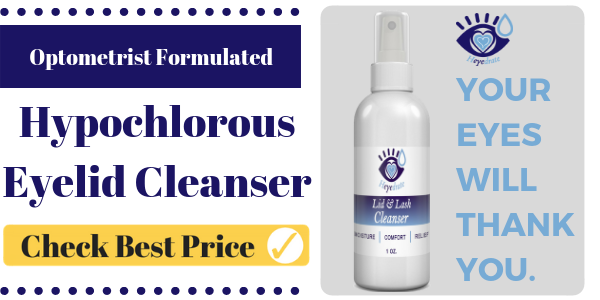 Eyelid cleansing with a hypochlorous acid cleanser is important. You can also carefully use a cotton ball or washcloth to gently scrub around the eyelid, avoiding direct contact with the margin. Avoiding margin contact and being gentle will help prevent irritation from the abrasiveness. 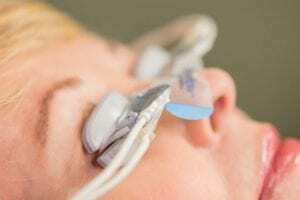 Eyelid compression can be beneficial. Gently use a warm compress eye mask twice per day, morning and evening. Blinking will help with expression of the meibomian glands. Meibomian glands secrete oil by nerve action and the mechanical action of blinking. But the rate of blinking decreases with age and near vision tasks such as computer use. 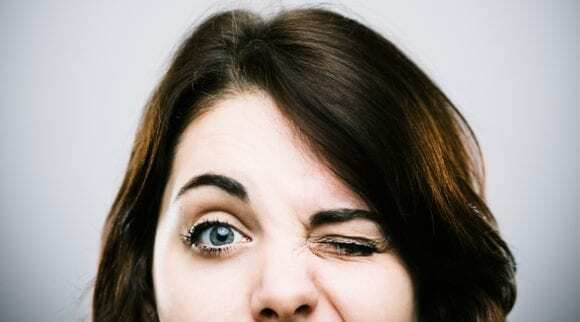 Sufferers need to concentrate on blinking at least 20 times in a row, four times a day. Home management of squamous blepharitis involves many different things. One thing that can easily be done at home is the use of warm compresses, to loosen crusts. Using a warm compress simply means placing a warm mask over closed eyelids, reheating the compress in the microwave when it cools and reapplying for 10-20 minutes. One more thing that can easily be done at home is an eyelid massage, to express the small oil glands of the eyelids. After using the warm compress to loosen the sebum, massaging helps express the oily contents of the glands. 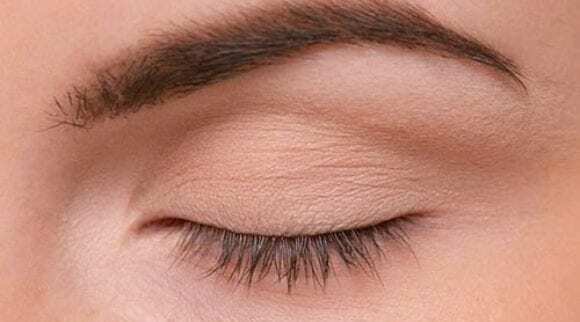 With a finger or a cotton-tipped applicator or swab, massage near the margin of the eyelid, where the eyelashes and glands are, using small circular motions. 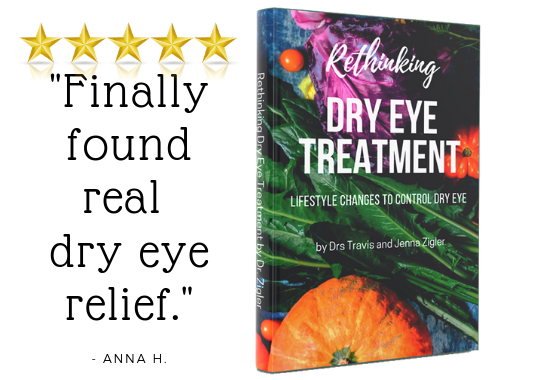 The use of artificial tear drops has been found to be beneficial in the treatment of blepharitis as well, although this only treats the symptoms and not the underlying cause. Eye drops are available without a prescription and can help to counter the dryness of the eyes caused by blepharitis during the day. Artificial tears without preservatives are the most recommended. Squamous blepharitis is an annoying condition. It can cause irritation and frustration for someone suffering from the condition. It is important, once diagnosed by a physician, to take the steps to prevent flare ups and reoccurrences. Remember to keep your eyes clean and as free of oils as possible. Use makeup responsibly and do not run eye liner along the inner lines of your eyelids. Do not wear contacts or use makeup during a flare. Use doctor recommended treatments during a flare to prevent it from worsening and to promote faster healing. It is important to follow a regimented facial cleaning routine at night to prevent and treat blepharitis as well. If you have questions or think you may have this condition it is important to consult with your doctor to help figure out a treatment and management routine that is suited to your needs.